The SUWS Farnham WebSDR is a web-based multi-user remote radio receiver, designed to let anyone tune in and listen to Radio signals received by the Array of Antennas installed at 30m AGL just north of Farnham, Surrey. SUWS originally started looking on-campus in Southampton for a site for a remote receiver to allow members with disadvantaged home locations to listen to local signals, however roof access to University Buildings proved extremely difficult. 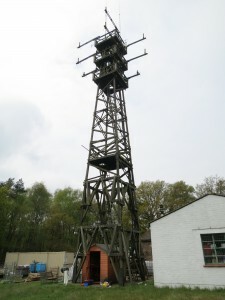 Noel G8GTZ offered a location at his remote station on a hill near Basingstoke, and Martin G8JNJ built several VHF/UHF antennas for the WebSDR. In August 2014 however the land of the hill changed hands, and we moved to a new site at the location of GB3HV in Surrey. 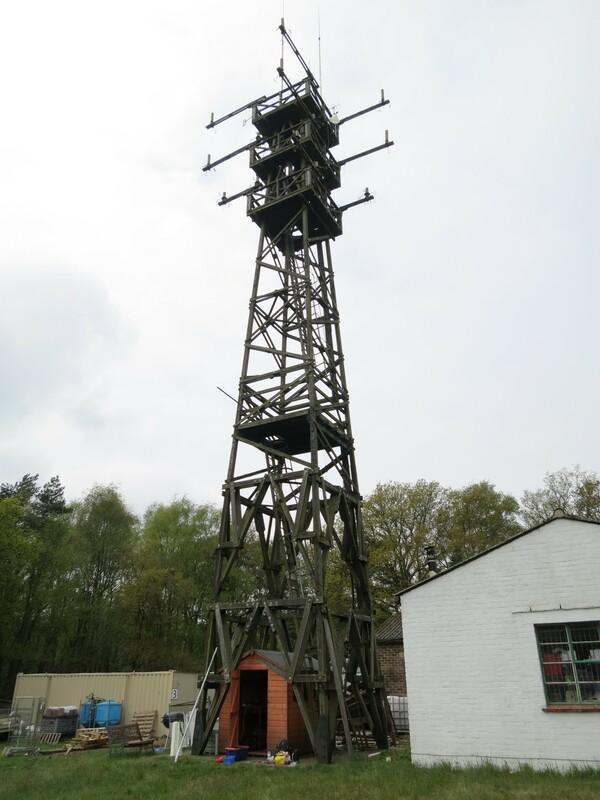 The new location is on a ridge just north of Farnham, using an old 1950s MOD Ground->Air Communications Mast on the site of Tech Recycle. Thanks to University of Southampton Electronics and Computer Science Faculty for donating the high-performance workstation PC. The USB subsystem under constant load has proven to be far more reliable than the consumer desktop PCs we have used in the past. We currently have our own reliable internet connection, with dedicated IPv4 and native IPv6 allocation! This is courtesy of TxRx Communications with whom we share use of the mast. The upstream connection is through Andrews & Arnold.